Twitter is a fascinating way to spread your message quickly and spark a discussion about a particular topic. The number of followers has a substantial impact on the influence and the diffusion of your message. That is to say, the more followers you have, the more impact you might have. However, it should be taken into consideration that the challenge on Twitter is to compose an interactive, concise and influential message by using up to 140 characters. The character restriction imposes that a Twitter user should say briefly as much as possible. The following picture inspired me to share some tips that will help you to be more influential and thus increase the number of your followers on Twitter. Obviously the primary goal is to enhance your impact on Twitter by increasing the number of your followers. Nevertheless, to achieve this you need to define your target audience so that to develop a consistent communication strategy on Twitter. Personally, I think that this is the most important part of a good communication strategy. In other words, a high-quality content will attract other Twitter users at least to visit your profile. Among the fundamental principle that you need to have in mind is to be concise and interactive. The use of pictures and videos may increase the visibility of your Tweets. In addition, when composing a Tweet is advisable to use hashtags (#) and mentions (@). The latter allows you to participate actively in discussions relevant to your professional or personal interests. Furthermore, it assists you to connect with individuals, organisations and brands relevant to your personal and professional interests. There is no doubt that being yourself is the number one rule that will help you to compose an interactive, concise and consistent message. Nonetheless, would like to clarify the following two points. Firstly, being yourself should not be interpreted as being unprofessional. Secondly, you should not be offensive to individuals or organisations with whom you do not share the same point of view. In general, increasing your impact on social media requires a measurement of the results. A good indicator is to estimate how many times you have been mentioned in several discussions. Moreover, the number of followers may consist another good indicator. The number of “impressions” of your Tweets may provide you an insight regarding the impact of your messages and the number of people you visited your profile. Besides, these there are many social media metric tools, such as Hootsuite, Brandwatch, Tweetdeck a.o. Finally, I would like to conclude that the number of your followers on Twitter influence to a great extent the spread and the influence of your message. The impact of your Tweets has a direct effect on your visibility. 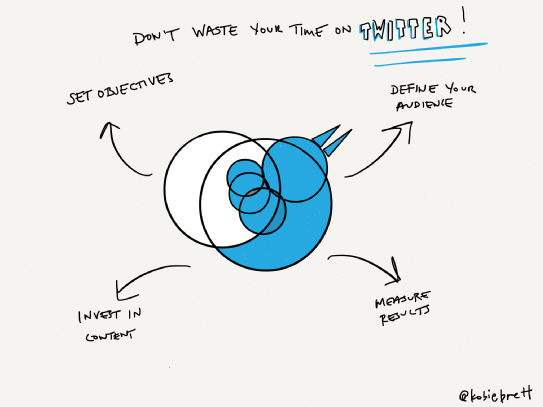 As a result, Twitter requires you to be consistent, natural, concise and interactive. Everybody and every brand are present on the social networking platform. The major challenge is not to be online but to build brand awareness and get visibility. Engagement is the fundamental concept that will assist each brand to be visible and also to create a dialog between brands and followers. The social networking platforms are embedded in the daily life of individuals and organizations. There is no doubt that the social networking platforms influence to a great extent the way we communicate, network, socialize and develop our preferences as consumers. Generally speaking, every individual and brand in the present on the social networking platform. Consequently, the point is not to go online but to be visible enough for your target audience. One of the main reasons is the information overload. In other words individuals are exposed to a vast amount of information so they find it challenging to distinguish what is relevant to them and what is not. Nowadays, the social media strategy constitutes an essential part of the marketing strategy of a company for the following reasons. First of all, the strategic presence on the social networking platforms create visibility and brand awareness. Secondly, it creates engagement between fans, customers, and business partners. In this point, I would like to underline that the number of followers, i.e. LIKES on Facebook, is not an indicator of engagement. For instance, someone may like a Facebook page or follow a Twitter account but not be actively engaged. As a result, the organizations should not focus primarily on the number of followers but the number of people or brands actively engaged and interested in their activities. It is challenging to define engagement in social media due to the fact the social networking platforms are constantly evolving. However, for the purposes of this post I would like to define engagement as the relationship between individuals and brands or business and brands (in the case of B2B). Organizations should take into account that engagement is essential in creating visibility and brand awareness, and getting recognition. Furthermore, engagement will set the bases to construct a continuous dialog between the brands and their target audience. Before proceeding to the identification of some engagement strategies I would like to mention some factors that may influence engagement. Firstly, brand engagement could be led to the construction of a community of fans, consumers, clients and business fond of a particular brand, and vice versa. Community is a core concept for my analysis. On the one point view, individuals have the intrinsic desire to belong to a community where they share their opinions on a particular topic with other people with similar interests. On the other point of views, brands have the tendency to form communities so that to understand better the market and shape their marketing strategy both online and offline. Secondly, the identity is another important concept that should be taken into account. I recognize that it is rather hard to define identity because many different social dynamics shape it. In the case of brand awareness, if individuals or brands identified with a particular brand it is more likely to become actively engaged. Thus, brand visibility is augmented. An important part of designing a successful online strategy is to employ an adequate research on brand’s image and market positioning. Quantitative or qualitative research approaches, such as surveys and focus groups, are useful tools to study the image of a brand within the market. A good understanding of brand’s image and market positioning will assist to develop a direct narrative in line with brand’s vision and marketing strategy. Before proceeding with the development of a social media strategy, the brands should detect market’s needs. The latter may contribute to identifying better the target-group, an important component of audience development strategy. In addition, brands should consider that consumers’ preferences shape the communication dynamics in the online environment. Audience development is strongly dependent on the dialog between brands and audience. On the social networking sites, the communication between brands and audience should be a mixture of humor and professionalism. Moreover, brands should integrate customer support through the social networks. In other words, provide customer support via the social networking platforms. In addition, brands should take into account that each social networking platforms follow its own rules and communication norms. Consequently, brands should adapt to the communication patterns of each social networking platforms. For instance, it is not advisable for a brand to post its Tweets automatically on Facebook and vice versa. On the hand, on Twitter the user has only 140 characters and the use of hashtags is rather popular. On the other hand, on Facebook there is no character restriction and the use of hashtags is not particularly important. Furthermore, it is rather important to acknowledge that the audience of each social networking platform is different and satisfies different needs in each platform. Sustainability and consistency are other significant factors that brands should take into consideration. Currently, there are many social networking platforms, Facebook, Twitter, Instagram, Linkedin, etc. It takes time to create an interactive and eye-catching content that satisfies the needs of all those platforms. Consequently, it is rather advisable to be present in some social networking platforms so that to have enough time to produce a consistent content. In my opinion, consistency will boost engagement and visibility since it gives a good image for the brand. Measuring brand engagement is rather challenging. There are many social media tools that promise to measure qualitatively and quantitatively brand engagement. A good way to measure the number of “mentions” to conversations relevant to the brand. This may provide an indicator regarding the spread of your message. Furthermore, Facebook pages and Twitter have embedded some engagement measurement tools. Nowadays, social media strategy consists an important part of the marketing, PR and communication strategy of each brand. Social networking platforms could be a powerful tool to create engagement, raise brand awareness and get visibility. However, the brands should consider their audience and the social media strategy should be in line with the overall marketing strategy of the brand. To sum up, I would like to repeat that the number of followers does not guarantee active engagement. Citizens recurrently turn to the European Parliament in order to request more protection against mass surveillanceandto safeguard their fundamental rights. The European Parliament has serious concerns about the US National Security Agency (NSA)’s activities and their impact on EU citizens’ fundamental rights and it took action immediately when allegations of the NSA’s activities became public. In July 2013 it adopted a resolution on the US National Security Agency surveillance programme and launched an inquiry to determine the impact of the NSA and other surveillance programmes on EU citizens’ privacy and media freedom. Aegean Guernica: In 1937, the Spanish painter Pablo Picasso express his detestation for fascism and Franco’s regime by painting Guernica. 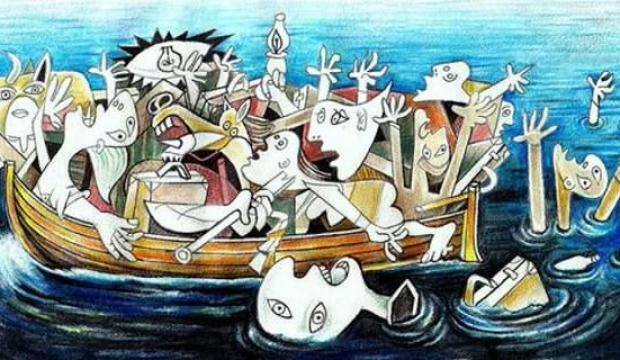 In 2015, the Bulgarian cartoonist Jovcho Savov depicts the drowning bodies of many refugees in Aegean throughout the illustration Aegean Guernica. Η Guernica του Αιγαίου: Το 1937 ο Ισπανός ζωγράφος Pablo Picasso εξέφρασε την απέχθεια του για το φασισμό και το καθεστώς του Franco ζωγραφίζοντας τη Guernica. Το 2015 ο Βούλγαρος σκιτσογράφος Τζόφτσο Σαβόφ αποτυπώνει τον πνιγμό για τον πνιγμό χιλιάδων των προσφύγων στο Αιγαίο μέσω του σκίτσου Guernica του Αιγαίου. La Guernica de Egeo: En 1937, el pintor español Pablo Picasso expresa su disgusto por el fascismo y el régimen de Franco pintando la Guernica. En 2015, el cartonista búlgaro Jovcho Savov representa el ahogamiento de refugiados en Egeo desde su dibujo La Guernica de Egeo. La Guernica d’Égée: En 1937, le peintre espagnol Pablo Picassion expresse son aversion pour le fascisme et le régime de Franco en peignant la Guernica. En 2015, le caricaturiste Jovcho Savov illustre le le noyade des réfugiés à travers son dessin La Guernica d’Égée. Does the Truth Matter in Science? The emergence of new media platforms together with the ongoing development of the web have influenced many aspects of the social life, such as culture, economy and politics. New media platforms might encourage ordinary citizens to participate and influence the political discourse. Generally speaking, new media play an important role in shaping the political discourse and the decision-making process both online and offline. Online communities function as a gathering space where individuals from different parts of the world exchange views on political issues that directly concern them (Van Dijk 2012, 102). Lorca: “Corazón malherido por cinco espadas”. 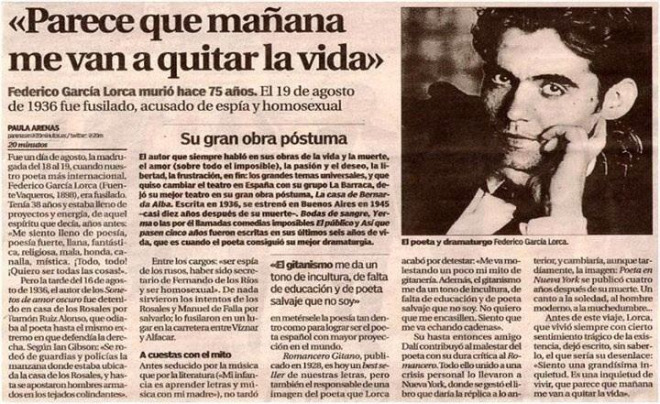 Hoy hace 79 años que asesinaron a #Lorca por “maricón y rojo”. 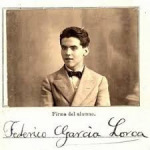 Lorca finaliza el Poema con la metáfora –permitiendo fluir al duende, a quien en infinitas ocasiones mencionó: el corazón; golpeado por cinco dedos, cinco espadas. De una manera u otra, los cuatro elementos se hacen presente: caliente (fuego), agua, viento (aire), arena (tierra). Ένα από τα πράγματα που με εξέπληξαν όταν πήγα Σουηδία ήταν ότι δεν χρησιμοποιούνται οι τίτλοι ευγενείας “Κύριος” και “Κυρία” καθώς επίσης και άλλου τύπου διατυπώσεις, πχ πληθυντικός ευγενείας. Προσπάθησα να ψάξω την ιστορία πίσω από αυτό μιλώντας με κόσμο. Πριν φύγω οριστικά από την Ουψάλα, αποφάσισα να μοιραστώ μαζί με τους αναγνώστες της ΜΗΧΑΝΗ ΤΟΥ ΧΡΟΝΟΥ μία ιστορία από τη Σουηδία. Η συγκεκριμένη ιστορία εξηγεί κατά κάποιο τους λόγους για τους οποίους οι Σουηδοί απευθύνονται ο ένας στον άλλο απλά με το μικρό όνομα είτε πρόκειται για τον οδοκαθαριστή είτε για τον πρωθυπουργό της χώρας. Σημείωση: Η ΜΗΧΑΝΗ ΤΟΥ ΧΡΟΝΟΥ είναι μία από τις αγαπημένες μου ιστοσελίδες καθότι παρουσιάζει ενδιαφέρουσες ιστορίες από το χθες και το σήμερα οι οποίες επηρεάζουν τόσο το παρόν όσο και το μέλλον. Στη Σουηδία ο κόσμος δεν χρησιμοποιεί τους τίτλους «Κύριος» και «Κυρία» ούτε τον πληθυντικό ευγενείας. Αντιθέτως, ο ένας απευθύνεται στον άλλο χρησιμοποιώντας μόνο το μικρό όνομα, είτε πρόκειται για τον οδοκαθαριστή είτε για τον πρωθυπουργό της χώρας. Η συγκεκριμένη μεταρρύθμιση είναι γνωστή και ως «Du reformen». Η αντωνυμία «Du» αντιστοιχεί στο δεύτερο πρόσωπο ενικού, δηλαδή στην αντωνυμία «Εσύ». 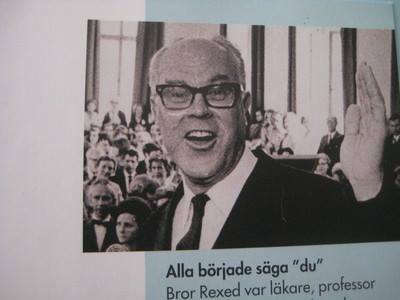 Η αρχή έγινε το 1967 από τον Bror Anders Rexed, νευροεπιστήμονα και καθηγητή στο Πανεπιστήμιο της Ουψάλας. Bror Anders Rexed, ο καθηγητής που ξεκίνησε την κατάργηση των τίτλων ευγενείας. Κατά τη διάρκεια μίας ομιλίας του, ο Rexed, ανακοίνωσε ότι θα απευθύνεται σε όλους με την αντωνυμία «Du» ανεξαρτήτως οικονομικού, επαγγελματικού και κοινωνικού υποβάθρου. Το συγκεκριμένο περιστατικό έθεσε τις βάσεις για την κοινωνική μεταρρύθμιση«Du reformen». Στο παρελθόν οι κοινωνικές νόρμες επέβαλλαν τη χρήση της κατάλληλης αντωνυμίας και τίτλου ευγενείας. Όταν κάποιος απευθυνόταν σε άτομα κατώτερης κοινωνικής τάξης χρησιμοποιούσε την αντωνυμία «ni», δηλαδή «εσείς» ή αλλιώς «han/hon» δηλαδή «αυτός/αυτή». Η αντωνυμία «ni» υποδηλώνει κάποιου είδους υποτίμηση και ασέβεια προς κάποιο άτομο. Από την άλλη, η αντωνυμία «Du» χρησιμοποιείται μεταξύ στενών φίλων και συγγενών. Ανάλογη χρήση της αντωνυμίας «Du» γινόταν και στις περιπτώσεις όταν κάποιος απευθυνόταν σε παιδιά. Παρόλα ταύτα, η χρήση αντωνυμιών και τίτλων ευγενείας διέφερε από περιοχή σε περιοχή της χώρας. Επιπλέον, μία γυναίκα η οποία ήτανε παντρεμένη με κάποιο ο οποίος διέθετε κάποιο τίτλο ευγενείας συνδεδεμένο με το επάγγελμα του,τότε η γυναίκα υιοθετούσε το θηλυκό τύπο του τίτλου ευγενείας του συζύγου της. Αυτό δημιούργησε προβλήματα καθότι η ένταξη των γυναικών στην αγορά εργασίας είχε ως αποτέλεσμα ολοένα και περισσότερες να αποκτήσουν τους δικούς τους επαγγελματικούς τίτλους. Η μεταρρύθμιση «du reformen» ξεκίνησε πριν από το “ 67 ως μία ενέργεια οικοδόμησης μιας πιο δημοκρατικής και ισότιμης κοινωνίας. Τον πρώτο καιρό, οι κρατικές αρχές και αρκετοί κύκλοι με ιδιαίτερα μεγάλη κοινωνική επιρροή προσπάθησαν να επαναφέρουν την ευρεία χρήση της αντωνυμίας «ni». Οι περισσότεροι άνθρωποι όμως ένιωθαν ότι η συγκεκριμένη αντωνυμία δεν ταυτίζεται με την ιδιότητα τους ως πολίτες. Έτσι η μεταρρύθμιση «du reformen» προωθήθηκε ακόμη περισσότερο με αποτέλεσμα να χρησιμοποιείται το δεύτερο πρόσωπο ενικού ως ο μόνος κοινωνικά αποδεκτός τρόπος προσφώνησης. Επιπλέον, καταργήθηκαν και οι διάφοροι τίτλοι ευγενείας. Παρόλα ταύτα, όταν γίνεται προσφώνηση των μελών της Βασιλικής Οικογένειας χρησιμοποιούνται ακόμη και σήμερα κάποιοι τίτλοι ευγενείας όπως, «Ο Βασιλεύς» (kungen/konungen), η «Αυτού Μεγαλειότης» κτλ. Βίντεο ντοκουμέντο: Η φρίκη της προσφυγιάς. Το καλοκαίρι του 2014, στο σχολείο εκμάθησης της σουηδικής γλώσσας, γνώρισα αρκετούς πρόσφυγες από διάφορες γωνιές του πλανήτη. Πάρα πολλοί, διηγήθηκαν σε μένα προσωπικά πως κατόρθωσαν να φθάσουν στη Σουηδία μέσα από πολύ αντίξοοες συνθήκες. Αρκετοί έδωσαν μέχρι και τα υπάρχοντα τους σε διάφορους τυχοδιώκτες μεσάζοντες μόνο και μόνο για να μπορέσουν να επιβιβαστούν σε μία φουσκωτή βάρκα. Άλλοι δεν ήξεραν εάν τα αγαπημένα τους πρόσωπα ζούνε ή σε ποια χώρα έχουν καταλήξει. Οι άνθρωποι αυτοί παλεύουν καθημερινά μέσα σε αντίξοες συνθήκες να κρατήσουν την αξιοπρέπεια τους και κυρίως να διατηρήσουν την ανθρώπινη υπόσταση τους μέσα σ’ ένα απάνθρωπο σύστημα. Η ρατσιστική ρητορική των ΜΜΕ και διαφόρων πολιτικών κύκλων κάνει τη ζωή αυτών των ανθρώπων ακόμη πιο ανυπόφορη καθότι προωθούν την καλλιέργεια αρνητικών στάσεων και συμπεριφορών έναντι στους πολιτικούς πρόσφυγες. Maria Strati and Christine Rüschenschmidt conducted a study about the role of information and communications technologies in the women empowerment. The study focused on the case of the European Women’s Lobby. ABSTRACT: Information and Communication Technologies (ICTs) shape the communication practices among individuals and organizations. The omnipresence of media led to the interrelation of politics and media. The strong dependence of media and politics could be described by the concept of mediatization of politics. Political organizations have been urged to incorporate ICTs in their daily activities and adapt to the communication norms of the new media platforms. Moreover, media technologies may give a voice to some social groups, such as women, to debate about politics. The goal of this paper is to examine whether the ICTs may contribute to women empowerment to advocate for gender issues and participate in the political life. Keywords: mediatization, politics, new media, ICTs, women, European Women’s Lobby.